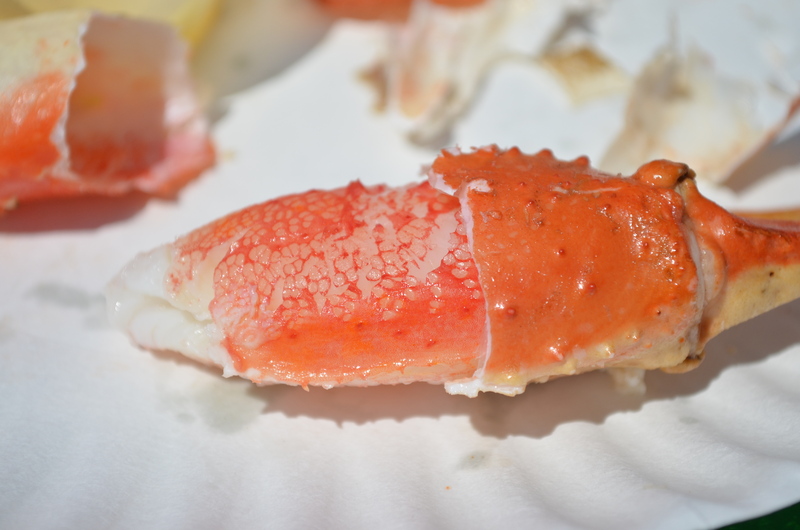 Brooklyn Crab is a seafood shack with a distinctly neighborhood feel, and fewer noticeably commercial tchotchkes on the walls than you’d otherwise expect, given the sometimes-on-weekend profusion of bros & the women who love them. Depending on your seat, you’ll have a view of Brooklyn, the Red Hook Fairway building, or the waterfront, the Statue of Liberty vaguely in the distance. But it’s this neighborhood vibe that lingers, just 20 easy minutes (via water taxi) from downtown Manhattan. Almost Floridian or Orange County-esque. And what a relief to escape to a place like this. 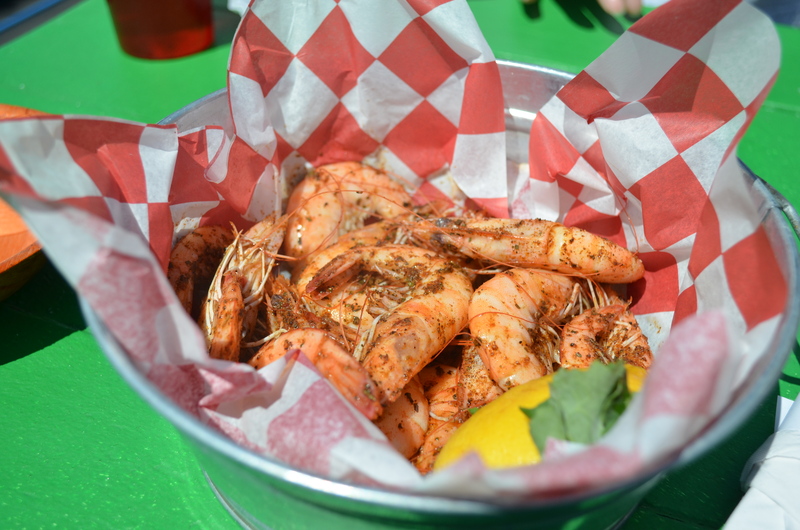 Where the Cajun shrimp are plump and juicy, bathed in cayenne & lemon & celery salt. 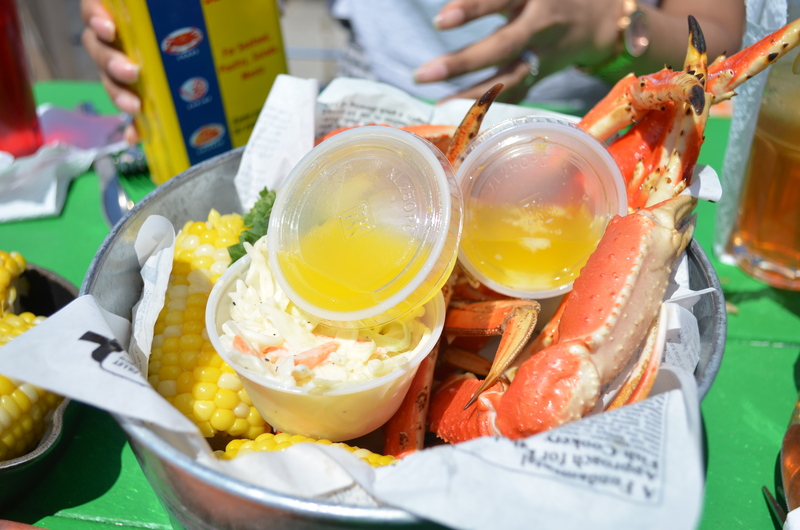 Where you order crab legs steamed in butter, with a side of clarified butter for dipping. Where you alternate between using the tools and your teeth, methodically extracting the salty-sweet fruit from its crunchy husk. 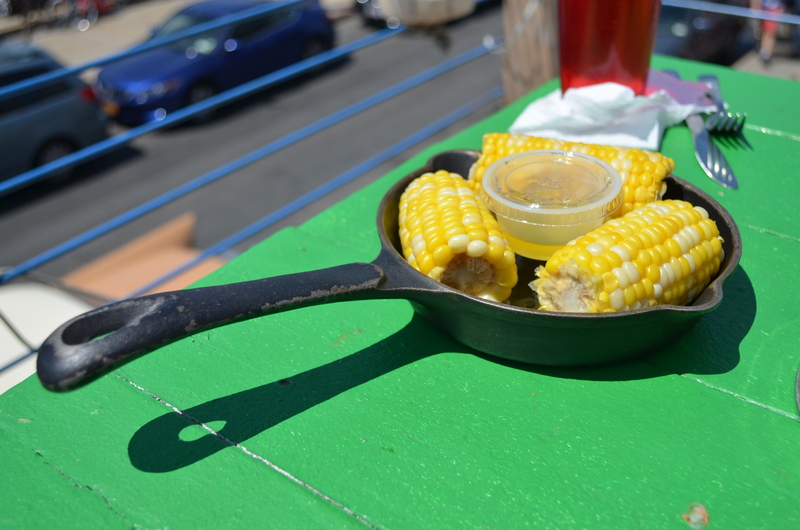 Where you put butter even on the corn, because it’s just right thing to do, goddamn it.